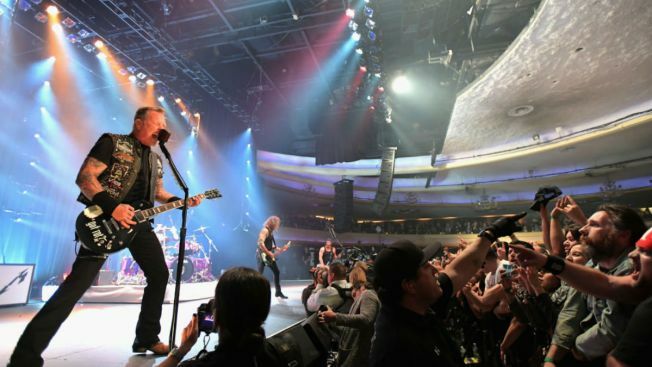 Metallica’s major mystery announcement has been revealed – and Chicago fans will be excited. The heavy metal legends have announced their WorldWired Tour is hitting North America and Soldier Field is one of the stops. The tour features mostly football and baseball stadiums with an occasional festival. The Soldier Field performance takes place June 18. Presale tickets go on sale Tuesday for fan club members and Citi card members. Tickets go on sale to the public at 10 a.m. Friday. The band had been hinting on social media at their big announcement, with many fans predicting the group would announce the U.S. leg of their current tour. They had most recently been touring in Asia before performing at the Grammys Sunday with Lady Gaga.